It’s 6:00p.m. on a Tuesday. One kid screams for macaroni. Another demands nuggets. You think you even heard a request for cottage cheese with a side of shredded cheese. But you’re desperate for something that resembles “real” food — food that doesn’t come from a box with cartoons, a takeout container, or whatever is left behind on your kids’ plates. Liam LaCivita, executive chef at Via Umbria, let us in on his secrets to conquering the dinnertime struggle. 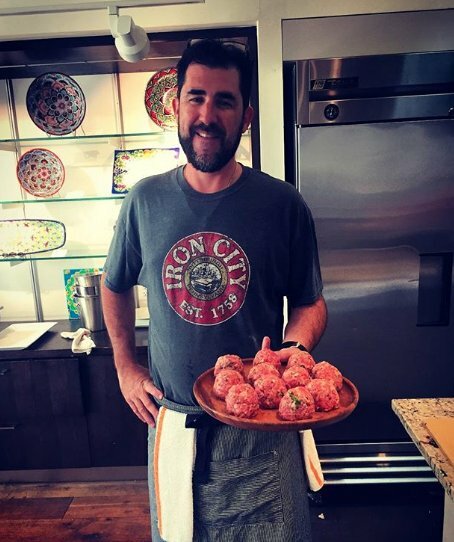 As a father of four, Chef LaCivita isn’t just responsible for feeding the hungry patrons congregating at one of Georgetown’s hottest cafés. With kids ranging in age from 3-15, it’s safe to say this chef’s toughest critics await him at home. But there is one thing that makes Chef LaCivita’s life a little easier — and it isn’t his culinary experience. 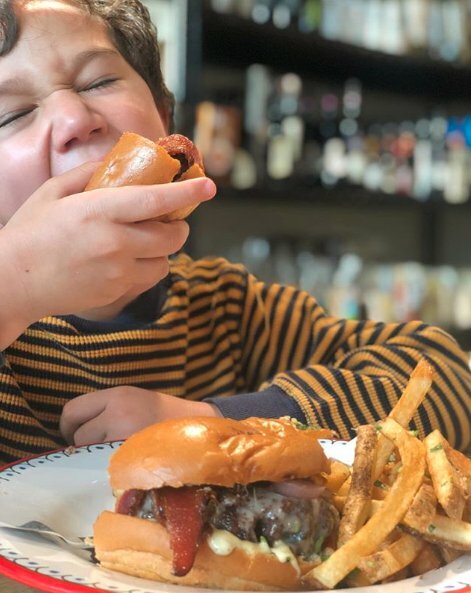 LaCivita’s kids share his love of beef. In other words, it tastes good and it’s good for you. These Italian staples are simple, they’re crowd-pleasers, and the entire family can get involved in the cooking process. It also means that during the winter months, the LaCivita’s freezer is stocked with the fruits of their labor. If steak is still too adventurous for your pint-sized food critics, try cutting up a small piece of meat you’ve cooked for yourself and combine it with pasta and marinara. “As a parent, always have something they love but introduce something new alongside it,” said Chef LaCivita, revealing yet another one of his tricks to getting kids to try new foods. For many parents, mealtime deception involves hiding vegetables in kid-approved recipes, “Save time and buy pre-chopped vegetables,” Chef LaCivita advises. If your knife skills leave a lot to be desired, who cares? There is absolutely no shame in taking a shortcut. One area it’s best not to cut corners is meal planning; it makes for a smoother week all around. But for those days when the dinner hour is unexpectedly whittled down to minutes, make sure you’ve kept your kitchen stocked with a few staples so you can resort to a back-up plan. 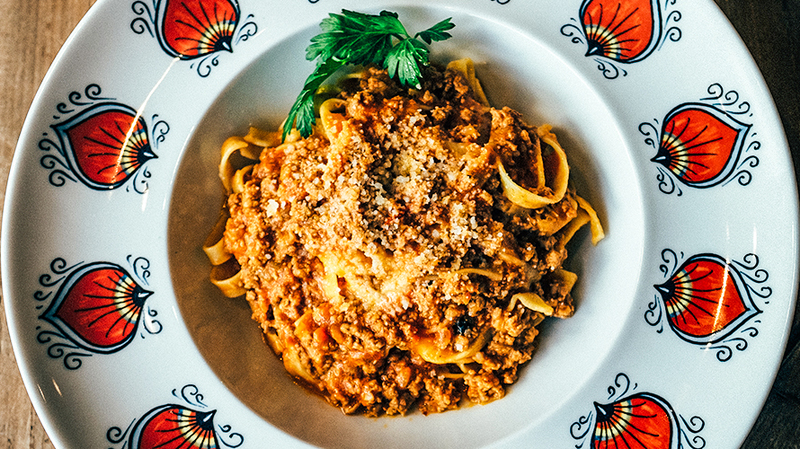 In his home kitchen, Chef LaCivita always has “pasta (freshly frozen pasta takes maybe three minutes to cook), olive oil, butter, some type of high-quality cheese, and any type of vegetable just hanging around.” Defrost some of the ground beef ragù that you stored in the freezer earlier this year, and you have a well-balanced meal that can be ready in less than 10 minutes. Involve your kids in meal prep. And remember: even if you’re a foodie, dinner doesn’t have to consist of a twelve-course gourmet meal to be good. It simply has to taste good. To get started, look for Laura’s Lean Beef at your local retailers, and check out the recipes below to bring some of Chef Liam LaCivita’s magic into your family’s kitchen. In a pot, heat a few Tbs of olive oil. Add ground meat, salt and cook until lightly browned, stirring to break up the meat. Add onion, carrot, celery, garlic and hot pepper. Cook over medium heat for a few minutes. Add red wine and reduce the liquid. Add Tomatoes, clove and rosemary branch. Cook slowly for about 45 minutes. Serve with your favorite pasta, by boiling pasta in salted water. Then toss the pasta in the sauce and continue to cook till fully coated. Add about 1 cup’s worth of Parmigiano while tossing the pasta and plate immediately. Again, these are great to make ahead of time and freeze in individual freezer bags. You can also, lay meatballs on a sheet tray with a rack and roast in a 375 degree oven for about 20 minutes. Cook till about 155 F internal temp. Finish in tomato sauce, and serve with fresh pasta or over grilled bread or in a hoagie roll.